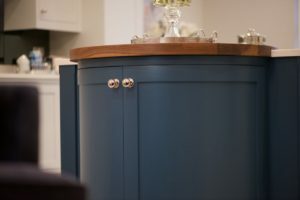 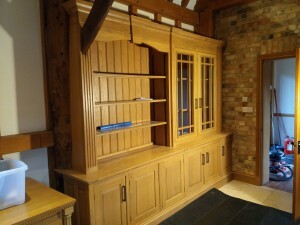 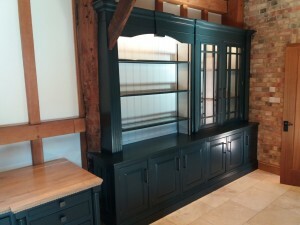 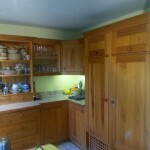 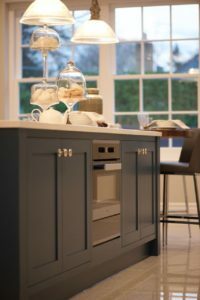 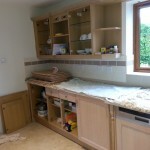 At Traditional Painter.com we dont only refurbish and Hand Paint Oak, Pine, Maple and any other wooden finishes, We also Carry out the Hand Painting for quite a few Bespoke Kitchen Furniture suppliers through out the UK. 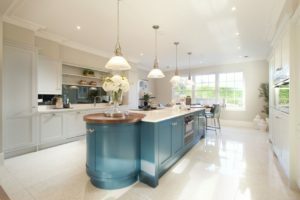 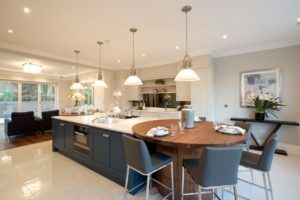 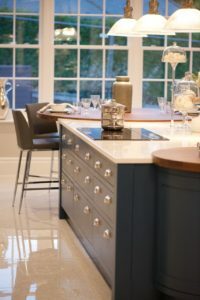 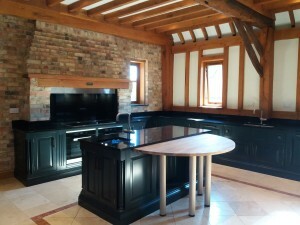 This was a stunning Hand Made Bespoke Kitchen we recentley Hand Painted For Bell of Northamptonshire, It was on the famous Crown Estate in Oxshott, Surrey an area we dont normally cover but as we have carried out all of the Hand Painting Work for Bell for the past 10 years we made a special trip with my son who works with me in the business and managed to complete the kitchen in a long week. 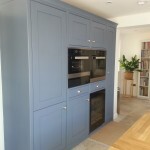 The main wall and base cabinets where finished in a nice light grey, With the Island finished in Farrow & Ball Stiffkey Blue, We had the colours mixed in Tikkurila Furniture Helmi 10 Paint eqvilents by Holman Specialist Paints of Swindon, We have also Hand Painted Kitchens, Bedrooms, Studys & Bathroom for quite few other companies over the years. 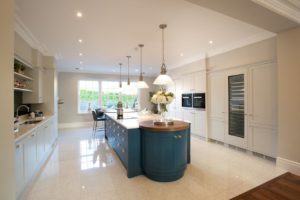 Including repaints on SmallBone, Mark Wilkinson, John Lewis, H&L Fitments, Parker Kitchens, If you would like to see exsamples of our work there are two Bell Kitchen Showrooms you could visit one is in Kingsthorpe, Northampton where we have Hand Painted two displays and the other one is in Thame, Oxfordshire where there is one display Hand Painted by us. 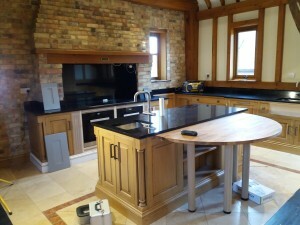 If your nearby why not pop in to see our Hand Painted Finish.